It’s time to upgrade your exterior! Is your home in need of new doors? 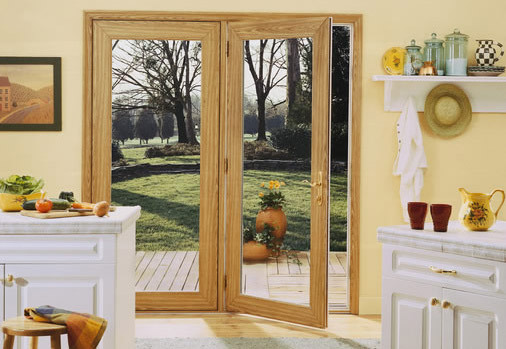 Let Window World of Colorado be your personal guide to everything you need to know about replacement doors and how they can impact your home’s appearance and energy costs. Replacement doors offer many benefits including protection from the outdoor elements and added curb appeal. Browse through our options below and contact us with any questions you may have or to request a free in-home estimate! Strong. Versatile. Reliable. Weather the storm with this door style from Window World. Impress your guests as they enter your home with one of our breathtaking front doors. Window World offers a variety of ways to truly personalize your entryway, from paint colors to glass designs. Patio doors give you the best of both worlds, by offering you a beautiful view of your outdoor area, while allowing you to relax comfortably inside. Made to slide for easy operation, French rail doors incorporate a traditional look to further enhance your space. An elegant addition and a smart investment, French doors offer style and functionality. Contact us today to request a free in-home estimate, where we’ll have a seasoned Window World professional come out to your Denver home and discuss with you the perfect option, while keeping in mind you style and budget. We look forward to working with you!